I made a rainbow background from distress inks (2 distress ink and not dostress oxides! Wonders will never cease!) and heat embossed the watercolour words sentiment. 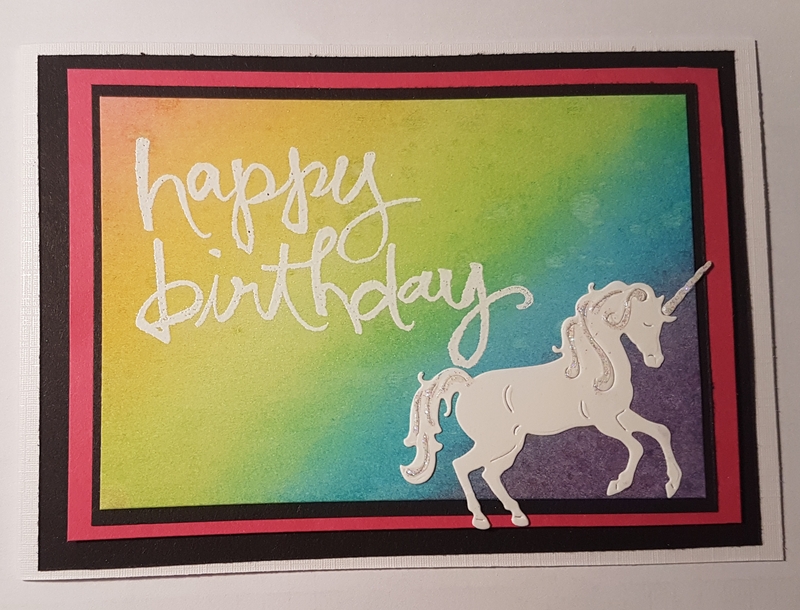 Then I die cut from white cardstock the unicorn I got with a magazine a while ago (I bought the magazine just for this die due to the amount of unicorn mad friends the princess has!). After sticking it down and matting and layering with the black and pink I added clear glitter glue to the unicorn … which of course had to sparkle! Hope the recipient liked the card… I know I enjoyed making it!